Datacide speculates on the future of data and digital culture. A sculptural installation, created from the remains of destroyed Hard Disk Drives, both reflects upon the meaning of data in a digitised culture and considers a possible scenario where technology has become irrelevant and is reduced to its material qualities alone. 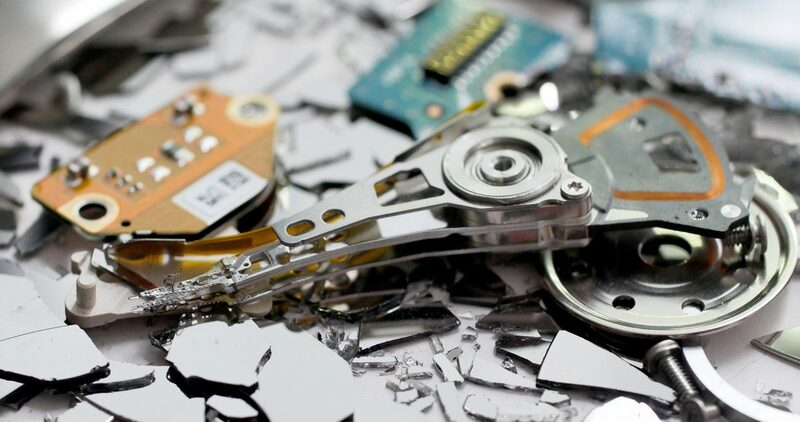 It is also intended as a reflection on the consumption cycle quietly inherent in digital culture, and the downstream disposal of electronic waste in the developing world. The work questions our relationship with data itself, inviting reflection on the connections between data and our physical world. At the same time the work forms a kind of mausoleum, where the data has departed the physical media that housed it. In an increasingly cloud-based, online and remote world of digital media that we inhabit, we operate under the illusion that data has been somehow freed from the need to exist in a physical location (as magnetic recordings) on the surface of a hard drive. In Datacide punched and shredded hard drives are used as materials analogous to those employed in landscaping and early stone construction. These ‘raw’ materials are used as building blocks to create a form reminiscent of a conical cairn, a structure widely used as a location marker from prehistory to the present. As an artist with a history of working primarily in video and video installation, this work investigates sculptural installation as a new approach to some of the themes implicit in his work for a number of years. The idea for the piece is inspired in part by reflection on the future of much of the artist’s work to date, much of which exists solely as digital files on hard drives. Datacide open 6th February 2016, 5-8pm, Oreil Davies Gallery, Newtown, Powys, UK.